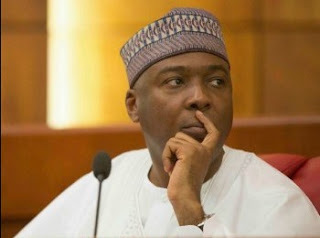 Senate president Bukola Saraki gives out N10million to help 432 Kwara state students pay for WAEC ~ Nigerian news platform bringing you News in Entertainment, Politics, Sports & Lifestyle. Senate president, Bukola Saraki has put a smile on the face of 432 Kwara state students as he gave out the sum of N10million to help them pay their WAEC fees. The beneficiaries who were drawn from across Kwara Central Senatorial District were selected through the intervention of the Kwara State chapter of All Nigeria Conference of Principals of Secondary Schools, ANCOPSS. Speaking at the presentation of cash in Ilorin, Saraki who was represented by the Director General, ABS Constituency Office, Mr. Musa Abdullahi, said that he was aware of the effects of the current economic situation, hence the intervention.